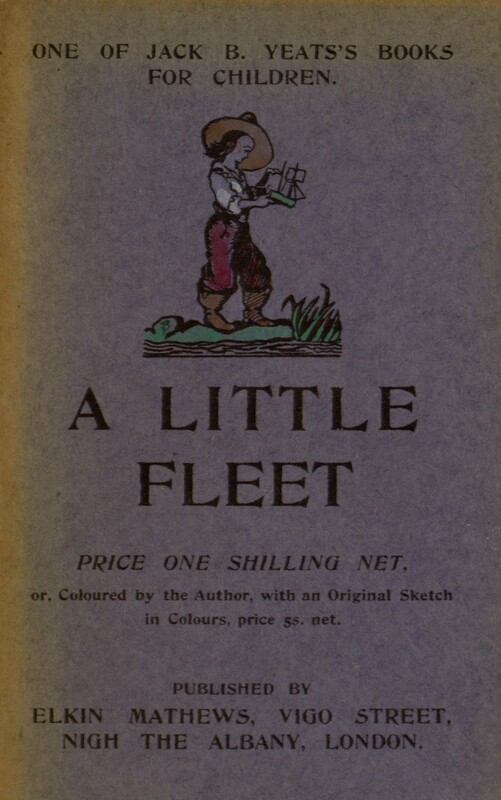 Another proofreading project is has been completed, and A Little Fleet by Jack Butler Yeats is now available for online reading or download in various popular eBook formats. 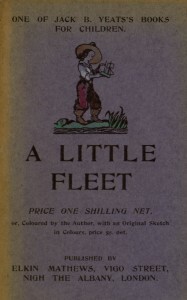 The attractively-illustrated children’s book describes the construction of several model boats and chronicles their adventures sailing down a river. It’s a pleasant blend of craft manual, childhood nostalgia, and imagination, and it should still appeal to children (and the young-at-heart) today — though some readers will be alarmed by the tendency of the author to play with fire! The finished eBook can be found at Project Gutenberg here, and more can be learned about its author in our online exhibit, Jack B. Yeats: Drawings & Illustrations.